It features only the black, white and red colors. Explore 9 suspenseful levels to find the items and solve the puzzles. You will encounter terrifying events along your path, and must escape from "The Shadow". 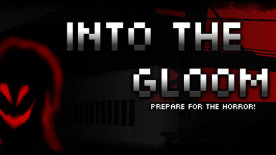 Prepare for the horror, and to run for your life in this pixel style horror adventure featuring two possible endings!